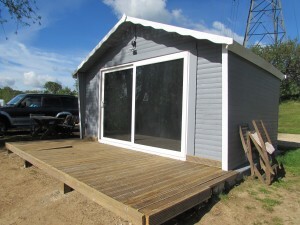 Hintlesham fishery has so much to offer to the sport. 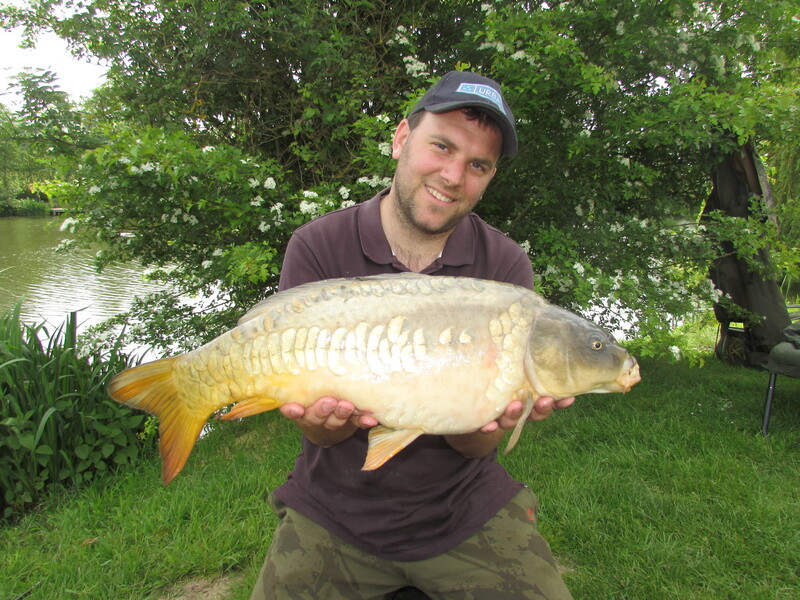 The 4 lakes offer great sport for pleasure anglers, carp anglers and predator anglers. 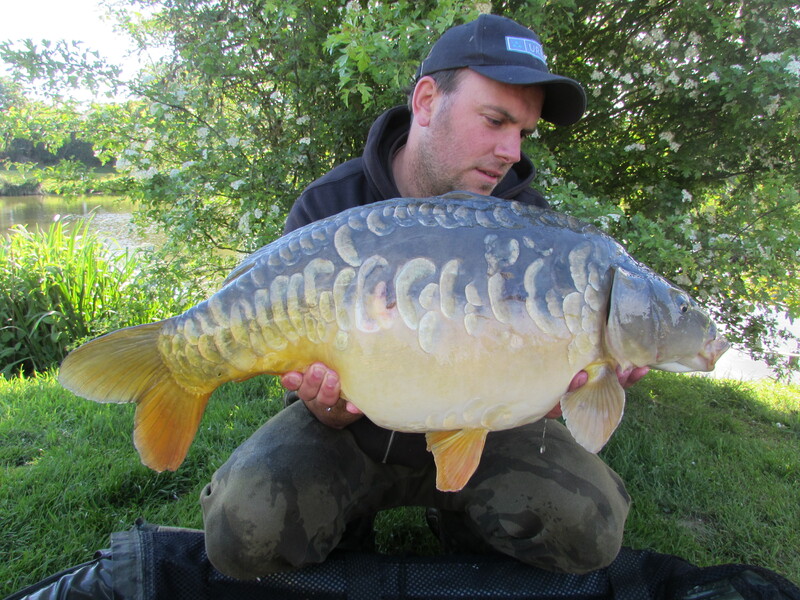 The carp specimen water is around 2.5acres in size and is well stocked with fish to 35lb 4oz. 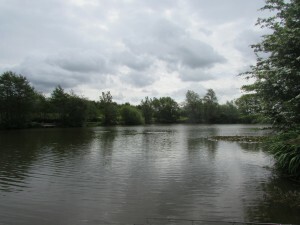 The stock has a healthy mixture of common and mirror carp with no nuisance fish so all tactics will work here. The lake has a few lilly pads to fish to for those anglers who like to fish to a feature but if you cant get in one of those swims there are plenty of overhanging trees to flick under or reeds to fish against. 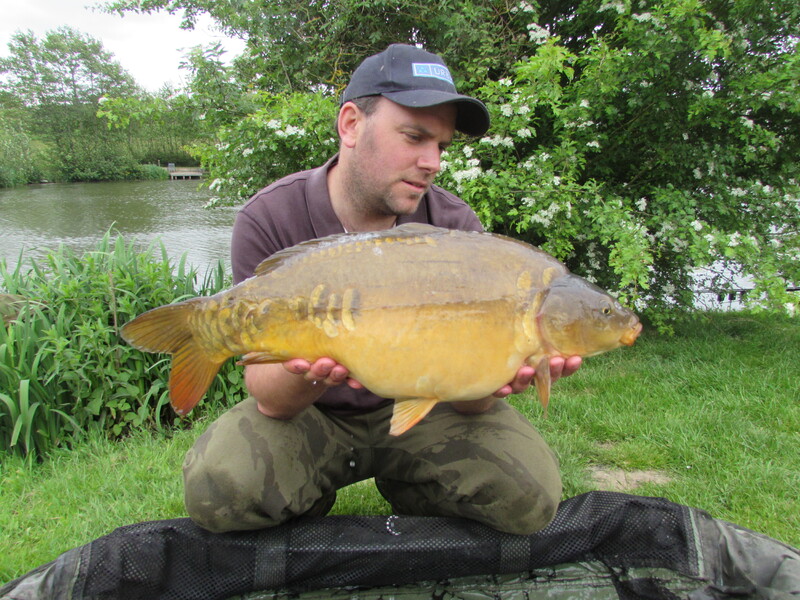 The lake bed is mainly silty with gravel bars and sandy spots to find with a marker rod. The depths range from 2ft to 10ft with an average of 4-5ft. The specimen lake also has a cabin that can be booked, it has an electric kettle and a fridge and spare power points and heating for the winter months as well as double glazed doors. The double bbq is just at arms reach to also cook on. 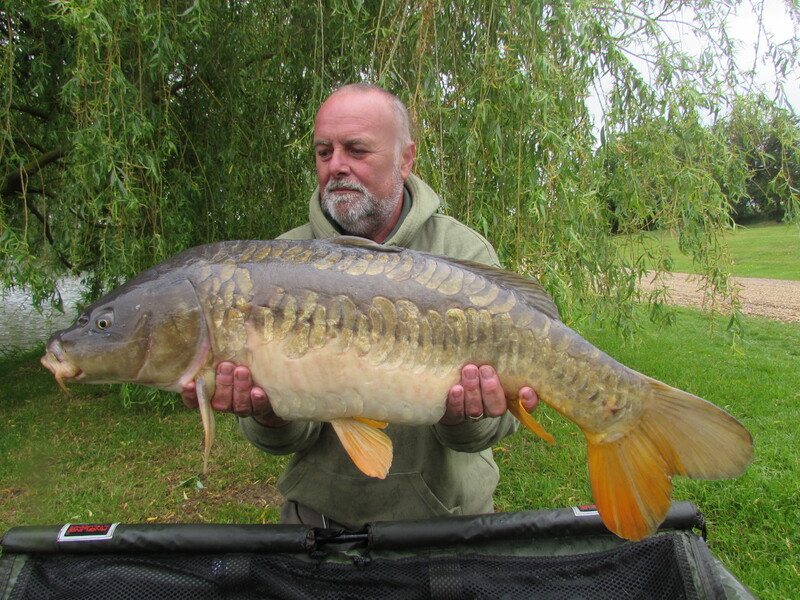 The middle and match lakes have carp to over 20lb, the predator lake has catfish to 57lb, carp to over 20lb and pike to 20lb. 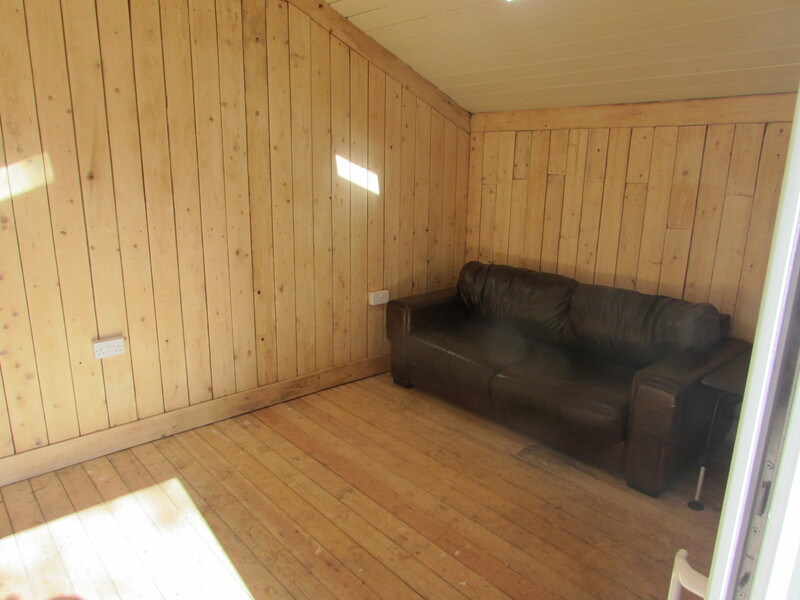 The facilities here are one of the best I’ve seen in a while from a fishing complex with male and female toilets, showers, tackle shop, cctv, 5* café, ample parking and friendly bailiffs always willing to help where they can. There is also a campsite with power hook up points. I arrived at hintlesham at 7am when the gates opened and met Phil the owner outside the café. After a brief chat about whats been coming out over the past few days he said to head for swims 2 and 3. 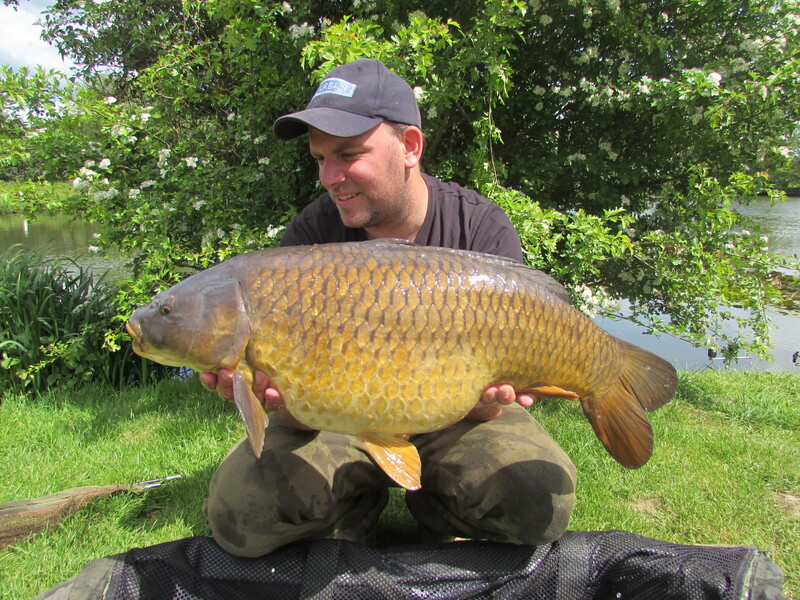 Swim 2 isnt a popular swim on the lake due to the swims either side producing more fish. With this in mind i decided to let my dad have swim 3 as he doesn’t get out as much as me. To the left of my swim was the shallows that was roped off due to the carp spawning 2 weeks ago so one of my rods was going to be fished tight to the roped off area as I saw plenty of fish cruising about. The other rod was going to be a roaming rod until I was happy I found a decent spot. The left rod was clipped up to 9.25 wraps on the distance sticks and it was flicked out towards the rope and up against a small set of pads. The right rod was cast to a showing fish towards the middle of the lake. Shortly after the right rod was away and as I haven’t fished here before I wasn’t sure what I had on as it was a hard scrappy fight. A few minutes later a lovely low double mirror was netted. The left rod was away shortly after putting the other fish back and this felt bigger and took me on a merry dance taking me into a weedbed and the pads but after some persuading I managed to tease it into the net and i had a scale perfect common of 19lb. 50 baits were introduced over each of the spots and the rods were wound in as some anglers wanted me to pop into their swims for advice on tactics and rigs. The evening came along with no more takes for me but dad managed to have 2 fish up to 20lb. I woke up to to the sound of fish jumping, after watching them show and the fizzing over my spots with no takes I decided to wind in and fresh rigs were cast back out. 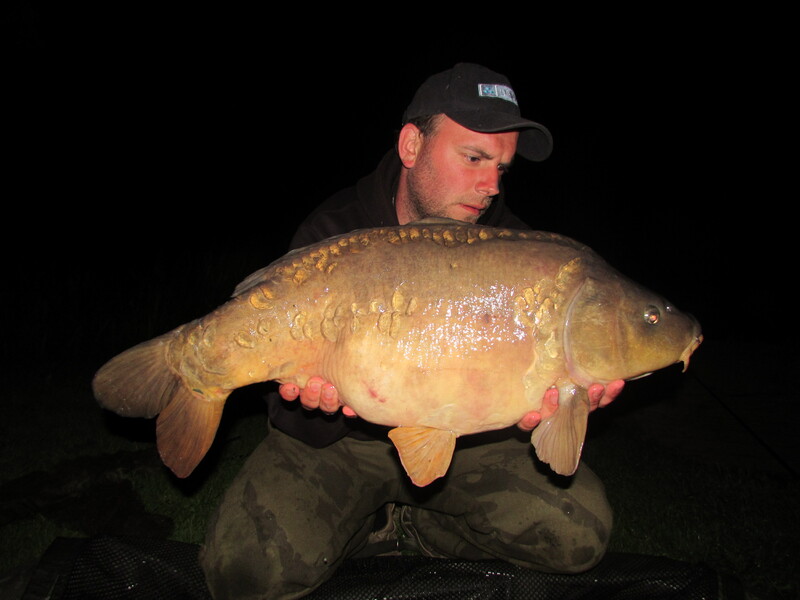 Moments after casting the 2nd rod the first pulled up tight another lovely low 20lb mirror was bagged and released. The temperatures rose and the fish didn’t want to feed so I tried all tactics with zigs and surface fishing. I decided to put the bottom baits back on just incase, 15 minutes later the left rod was away and an upper double was netted. 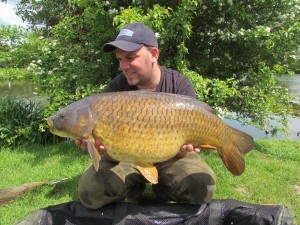 Shortly after the recast it was away again ths time it was a 9lb common. 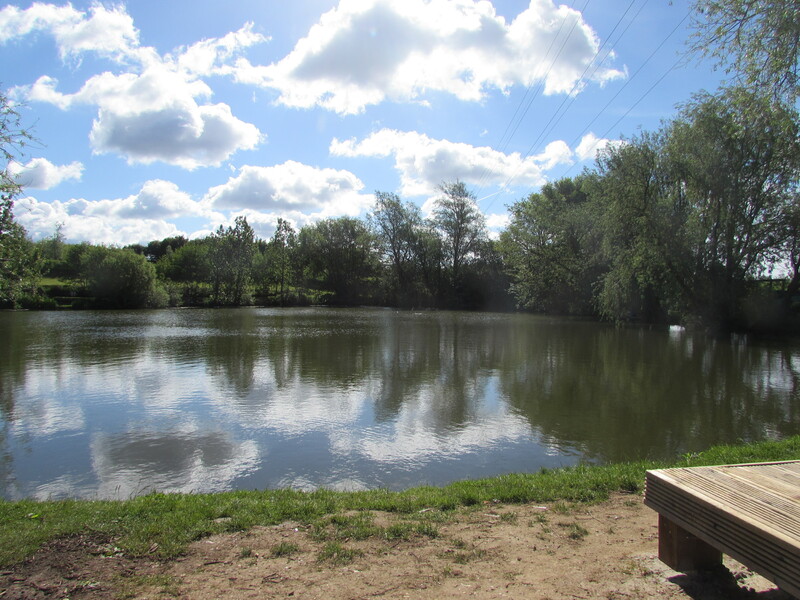 Hintlesham has a policy that if anything is caught under 10lb that it has to go in the middle lake. It was nearly 8:30pm when i got the rods back out after spending a few hours with anglers around the lake helping them with rigs and general fishing tips. During the night i managed to have two more takes but only landed one of them. 7am sunday morning I was packing away in the pouring rain and made my way home to see my family.